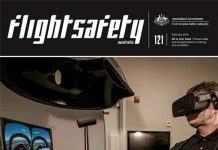 Aviation is on the verge of an unprecedented boom in aircraft numbers, Flight Safety Australia’s lead story for May says. Most of these billion aircraft will, however, be drones. 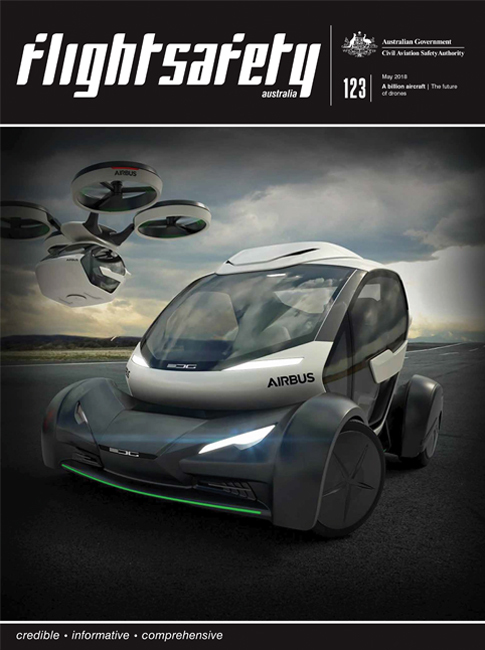 Drone specialist contributor Craig Newlyn examines the implications for aviation safety. Contributor Adrian Park revisits a rare aviation incident—a four-engine failure on a mining charter flight in 1992, and US-based general aviation expert Thomas P. Turner analyses what you need to know in order to comply with regulations and ensure your own safety when flying new type for the first time. There’s a succinct explanation of CASA’s sector risk profiling process which collects and collates information to give the regulator and operators a comprehensive picture of the risks and hazards in particular areas of aviation. The issue of ageing aircraft comes into sharp focus after a US Federal Aviation Administration airworthiness directive for twin-engine Cessna 400 series aircraft that requires structural inspections every 50 hours. As ever, our popular close calls, accident summaries and aviation quizzes round out the issue. 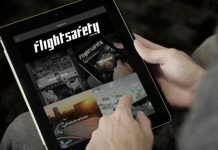 You can download our free Flight Safety Australia magazine app on the App Store for iPads and iPhones, or on the Google Play store for Android tablets and smartphones. I really dislike this new version. Am I still reading last months articles, this months or something in between. Its messy and unstructured. Then I scroll down and get “May Edition out now”! So what have I just been reading.